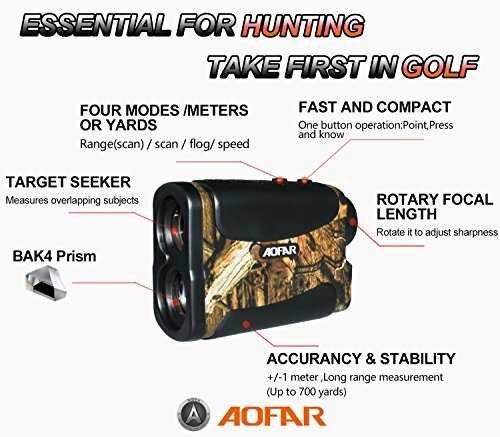 Nearly twenty years, AOFAR focus on the research and development of outdoor products especially in range finder and compass, AOFAR has first-class production technology and R&D experts. Nowadays, our products is selling all over the world and very popular. 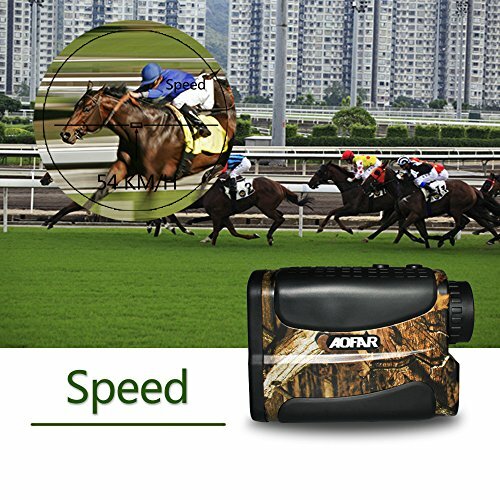 We dedicate to improve customer's outdoor life by rich experience and expertise. High Precision Waterproof Laser Rangefinder: our engineer advanced pinsensor technology, magnification objective is 6x 25mm range measure accuracy is ±1yard, speed measure accuracy ±5km/h. 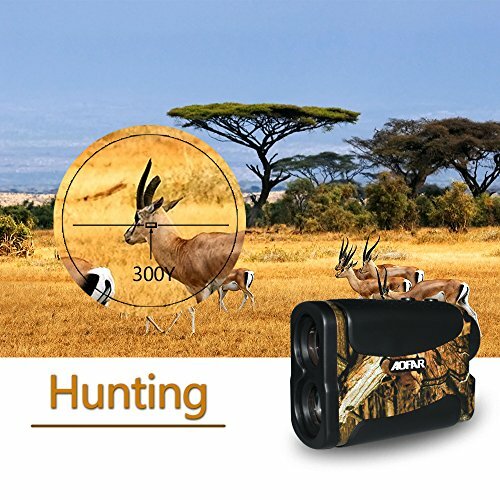 Hunting Range Finder: 6x magnification, measure up to 700 yards, it also has fog and speed modes, give you amazing experience for hunting. 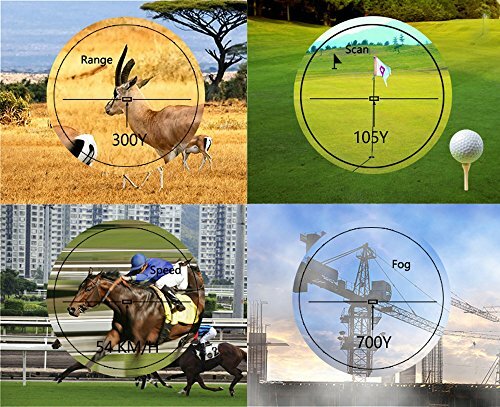 Golf Rangefinder: with continuous scan mode, flagpole lock, golfers can easily identify flagstick. Particularly, useful when the flagpole is partially blocked. 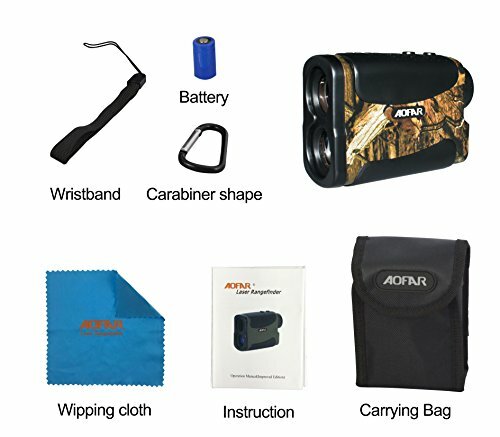 Lightweight and portable: measures just 110x 75 x 45 mm and weighting just 180g, with a water and dust resistant, durable body, perfect for carrying while golfing or hunting. 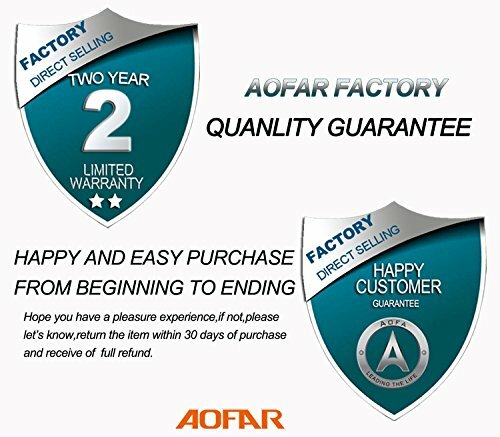 Full Package: including carrying pouch, free CR2 battery, strap, carabiner shape, microfiber cleaning cloth and quick start guide, we are factory direct selling, AOFAR happy guarantee (2 years) and lifetime customer support.